Early life stress initiates long-term neurobiological changes that affect stress resilience and increased susceptibility to psychopathology. Maternal separation (MS) is used to cause early life stress and it induces profound neurochemical and behavioral changes that last until adulthood. 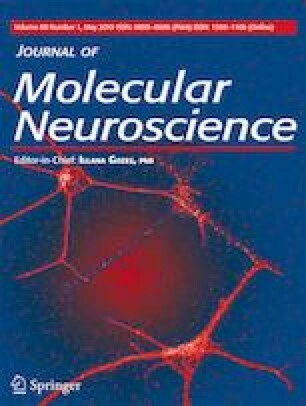 The molecular pathways of how MS affects the regulation of DNA methyltransferases (Dnmt) in brain have not been entirely characterized. We evaluated MS effects on Dnmt1, Dnmt3a and Dnmt3b expression, DNMT enzyme activity and glucocorticoid receptor (GR) recruitment to different Dnmt loci in the prefrontal cortex (PFC) of Wistar rats. We found increased plasma corticosterone levels after MS that were associated with induced Dnmt expression and enzyme activity in rat PFC at post-natal day 15 (PND15). Chromatin immunoprecipitation showed increased binding of GR at the Dnmt3b promoter after MS, suggesting that genomic signaling of GR is an important regulatory mechanism for the induced Dnmt3b expression and DNMT activity. Although GR also binds to Dnmt3a promoter and a putative regulatory region in intron 3 in rat PFC, its expression after maternal separation may be influenced by other mechanisms. Therefore, GR could be a link between early life stress experience and long-term gene expression changes induced by aberrant DNA methylation. This study was supported by Estonian Research Council (grants PUT1686, institutional research funding IUT2-3 and IUT19-18) and European Union through the European Regional Development Fund (Project No. 2014-2020.4.01.15-0012). The funding organizations we not involved in study design, data collection, analysis, interpretation of data, writing the paper and submitting the article for publication. The authors thank Miriam Ann Hickey for intellectual support and Ulla Peterson for technical assistance. AK, TT and AZ designed research. MU, KA, TM, GT, AA-H, IK acquired data and MU, KA, TM, AA-H, IK, AK performed data analysis. MU and AK wrote the paper. All authors critically reviewed content and approved the final version for publication.